ConnectSport is working with the Sport for Development Coalition to create a monthly 'call for articles' around a particular theme. Throughout March 2019 articles will focus on ‘Sport and mental health'. 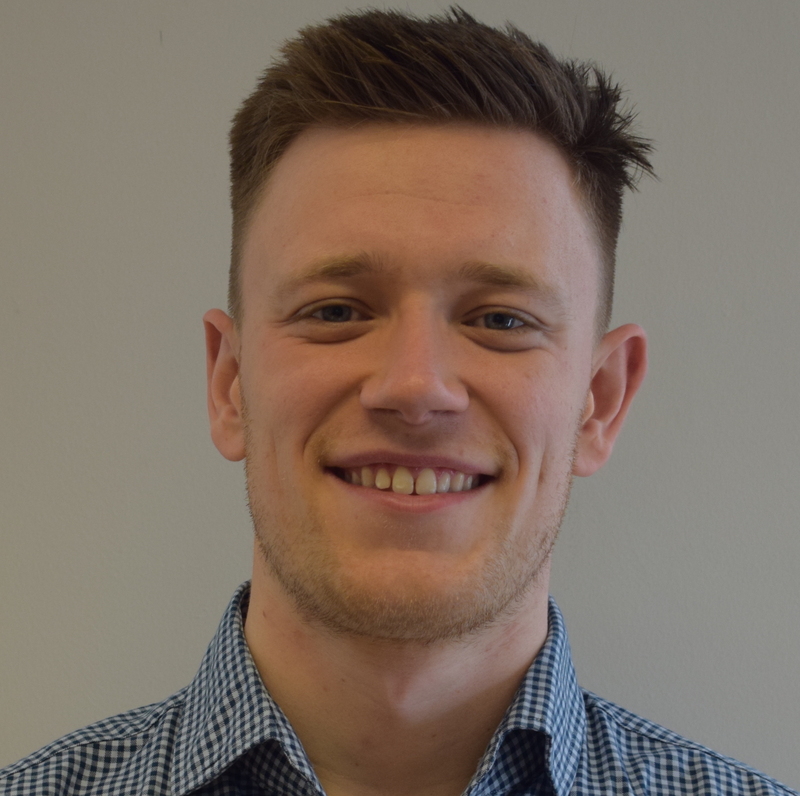 In this article we hear from Liam Parker, Health Manager for the 'Offload' programme from Rugby League Cares. To submit an article, contact hello@connectsport.co.uk. 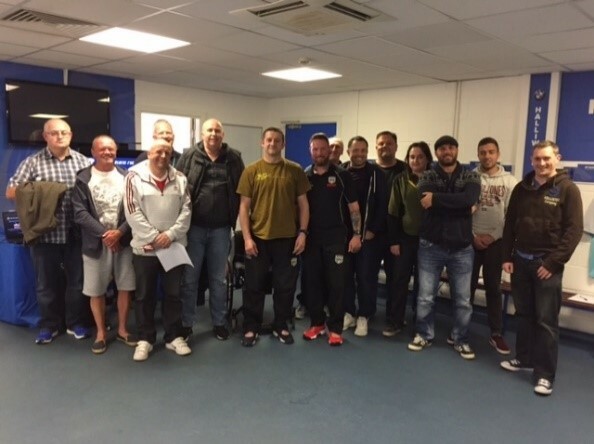 April 2019 marks two years since the delivery of Rugby League Cares’ award-nominated 'Offload' programme began. 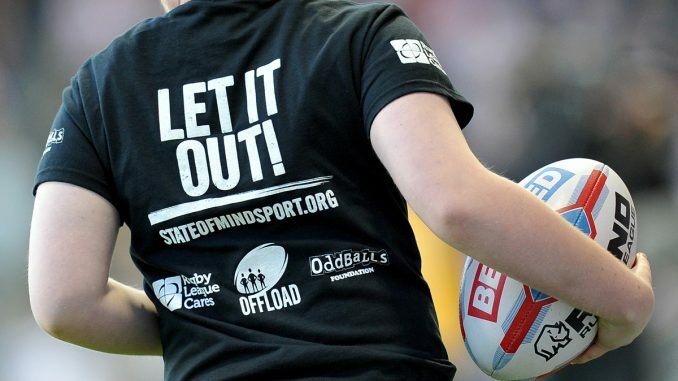 Over the last two years, Rugby League Cares - in partnership with Salford Red Devils, Warrington Wolves, Widnes Vikings and State of Mind - has successfully delivered the Big Lottery-funded pilot project to help break the stigma around men’s mental health, and delivered sessions at stadiums, prisons, schools, colleges and a variety of workplaces including local councils, power stations and construction sites to help support men improve and maintain their own mental fitness. Offload is addressing the huge gender disparity in death by suicide; 75% of suicides are male. It also aims to address socio-economic inequality in suicide risk, with those in the poorest socio-economic circumstances approximately 10 times more at risk than men in the most affluent conditions. 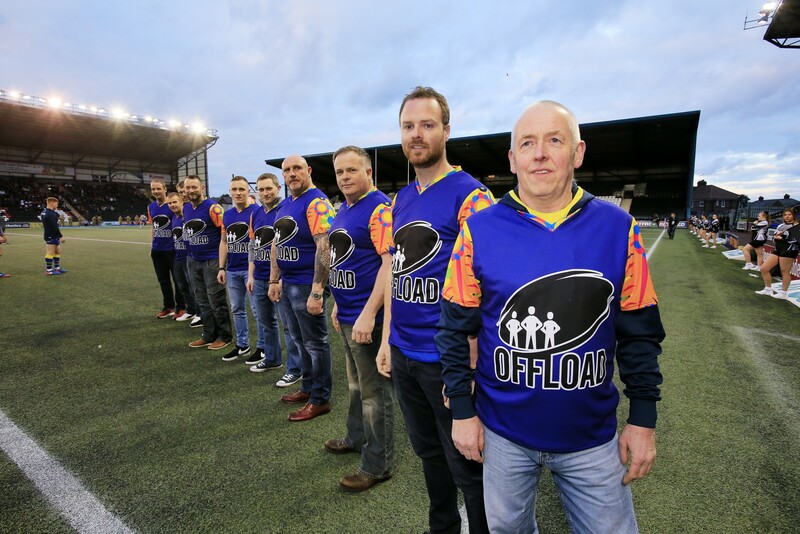 Offload seeks to develop a fresh, appealing approach to reach these men, as it is now widely recognised that traditional mental health services often struggle to engage men. In 2015, the Men’s Health Forum reported that only 36% IAPT (Improving Access to Psychological Therapies) referrals were male. Rugby League is ideally placed to tackle this challenge, with the sport’s core affinity areas stretching across northern England’s lower socio-economic communities, and the clubs’ brands enabling the sport to build trusted relationships with local people in oder to understand their changing aspirations, priorities and health needs. Through this, the programme is effectively reaching out to, and actively engaging ‘at-risk’ men and providing evidence-based mental health education and early help interventions. Emma Goldsmith is Rugby League Cares’ Head of Grants, and lead for the Offload project. She explained: “To make the intervention attractive and appealing to at-risk men, the project has radically redesigned the language we use and the engagement methods we implement. “We have shifted away from using phrases such as ‘mental health’, ‘wellbeing’ and ‘feelings’ as our participants told us they weren’t relatable. Instead we use phrases such as ‘mental fitness’, ‘making ground’ and ‘building a winning mindset’. “We deliver our programmes in places where men tell us they feel comfortable including our stadium changing rooms, barbers, workplaces and working men’s clubs. Programme structure is informal and flexible, enabling men to book on if they wish, or just drop in to a session of their choice. Each programme incorporates 10 ‘fixtures’. Each fixture is comprised of two 40-minute halves, like a rugby league game. Uniquely, fixtures are led and delivered by a current or past player or referee. Players tell their own stories about mental fitness challenges they faced on and off the field. The honesty and courage they show discussing their own mental fitness challenges and de-stigmatises the topic and encourages men to offload themselves and seek help. Each fixture focuses on a certain area of mental fitness, for example building mental fitness, managing stress, or dealing with adversity. Players relate their lived experience to the challenges and issues faced on that topic by all men, eg being injured relates to being off work sick. Players then help men embed evidence-based strategies into their daily lives, such as goal-setting. The ‘kitbag’ of tools and techniques which men receive empowers them to be more resilient, use more positive coping strategies, and to understand they are not alone. Mark, from Warrington, has struggled with mental health issues since he was 17. “I had a really difficult relationship with my step mum and things seemed to spiral,” he said. “The low point for me came a couple of years ago when my dad died. We were very close and had a strong common bond through Rugby League. “When he died I went off the rails. I tried to take my own life by drinking the best part of a bottle of morphine. It was a dark, scary time and I wasn’t in a good place but for the sake of my wife and four children I decided I was going to sort myself out. He admitted: “It’s not easy talking about mental illness but when you’re with a group of blokes who have so much in common with you it’s like a weight being lifted. “I have made some great friends through Offload, friends who will stay with me for life. They’ve told me that when I first came along I was a very angry man and seemed unapproachable. Hopefully that’s not the case anymore. “I spoke to my doctor and told him about Offload. He questioned it on the grounds of equality because it’s a male-only thing but he’s impressed by the difference it’s made to me. Offload provides something men like me can’t get within the NHS. “At the start it was hard to break down my own barriers. I am old school, I kept things to myself and wasn’t a nice person to be around. Offload has smashed down those barriers and not only have I helped myself I am now helping others. Find out more about Warrington Wolves Charitable Foundation on its ConnectSport directory page. To add your organisation to the directory, contact hello@connectsport.co.uk.